The line of Organix dog food was created by Castor & Pollux Natural Petworks. The company started with Shelley Gunton and her husband Brian Connolly decided to start making great pet food for their beloved dog Joey, and it kept growing ever since then. The Castor & Pollux team is made up of nutrition experts & pet lovers who can do the best to support pet health. Castor & Pollux was acquired by Merrick Pet Care, Inc. in 2012. Organix is known to be an organic line, and you might wonder why this is important to them as a company. They believe that using natural foods is healthier for your pet and are committed to creating the foods to do so. Organix canned foods are 95% organic, while dry foods are between 70-94% organic ingredients. A very clear breakdown of which ingredients in Organix are fully organic can be found on the Castor & Pollux website. I am basing my rating not only on my own opinion of Castor & Pollux food but also on the opinions of hundreds of others after reading lots of Organix dog and Organix puppy food reviews. The high quality available from Castor & Pollux in a huge variety of options make this food a great choice for lots of dog owners. Many Organix dog food ingredients are certified organic to some level or percentage, which you can read more about on their website. This is great if you are really serious about keeping your pet healthy and natural as much as possible. The chicken meal is not organic because there are not good organic sources at this time. Their food and their manufacturing facilities both meet USDA’s National Organic Program guidelines, certified by a third party. They also carry both grain inclusive and grain free kibble and canned varieties. 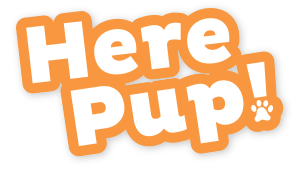 They also have puppy mixes, weight management mixes, and more, so they’re great if you want a spectrum of high-quality products to choose from. They also carry some varieties that have “Raw Bites” in them, which many pets love and find to be a treat in their food. The food does not contain soy, wheat, corn, artificial preservatives, unnamed meat sources, by-products or digests. One source of fiber in the food is through organic peas. 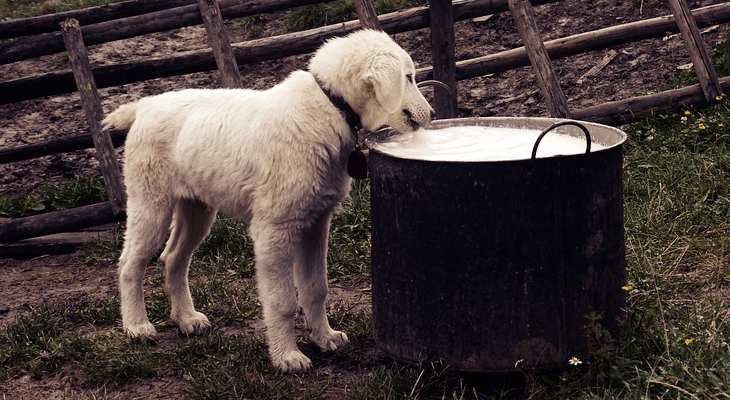 While this is great and a good source of fiber, some dogs have trouble digesting this food. If there’s too much pea or pea fiber in the formula you choose, you might have diarrhea issues with your pet, so keep that in mind if you find your dog’s stool begins to loosen after changing to Organix. Another con is that the food doesn’t come in as large of bags as other brands at some stores. It only comes in four-pound bags so that can be more expensive and a bit frustrating to buy. But there are 250-lb bags available, so make sure you look for that offer when you can find it. As mentioned, their foods have a higher level of organic ingredients than some other dog foods. However, this does not always mean “healthier.” You should still think about whether or not the food is balanced for your pet’s needs. Let’s start by taking a look at this overview of the ingredients used by Organix in their line. The amount of protein in the food is great for dogs and well over the required amount. It is on par with other mid-range foods, but not as high as some premium dog foods. The max level of fiber is good, but some pet owners should be concerned that organic peas are one of the first five ingredients listed for this food. Pea fiber can be a great source of nutrients for your pet, but it can also cause some problems like diarrhea if your pet cannot digest it. This is not guaranteed or proven by any scientific studies at this time. The dog food also has minerals and vitamins that your pet can absorb properly. Added minerals are chelated minerals, which means they will be easier for your dog to absorb. There are also organic fruits and vegetables in the mix. Three other ingredients I love in this mix are chicken fat (great for dogs), organic flaxseed, and salmon meal (provides omega-3 fatty acids). The quality of ingredients and makeup of the food in both their dry food and wet, canned food is above average. Mix the two in your dog’s diet for a great variety and great quality. There have been no recorded food recalls issued with the Organix food line. Organix is very aware of possible food problems when manufacturing food and works hard to prevent that from happening with frequent third party testing. I believe that the Organix line is a fantastic pet food line. While I almost wish Castor & Pollux had stayed independent as they used to do more work for local animal shelters than they do now, I believe that their partnership with Merrick is a good one, since Merrick is the only organic certified canner of both cat and dog food. If you decide to invest in Organix, you and your dog will probably love it. Take care to select the right nutritional makeup for your dog, and ask away if you have any questions! Primal Dog Food Reviews, Ratings, Recalls & Ingredients! 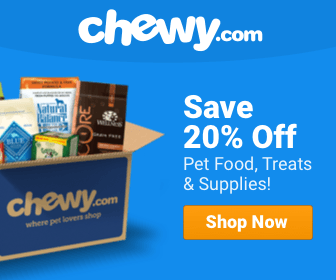 Nutro Dog Food Reviews, Ratings, Recalls, Ingredients! Nutro Ultra Dog Food Reviews, Ratings, Recalls, Ingredients!